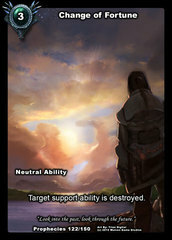 When an opposing player summons a targeted ability with cost 3 or less, that ability has no effect and Cinderborn Fatebreaker is killed. 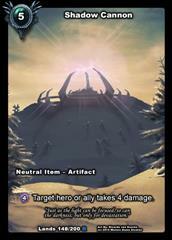 When Sun-blighted One enters play, all heroes gain 1 shadow energy and all opposing heroes take 1 damage. 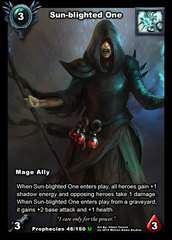 If Sun-blighted One enters play from a graveyard, it gains +2 base attack and +1 health. 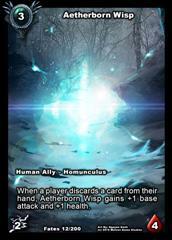 At the end of each of your turns, Evolving Abomination gains +1 base attack if no abilities were summoned that turn and +1 health if no allies were summoned that turn. 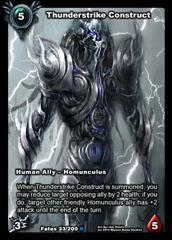 Once per turn, when a hero deals electrical damage, Thunderstone Golem gains +1 base attack and +1 health. 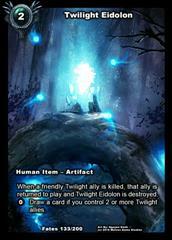 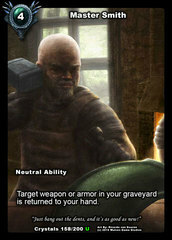 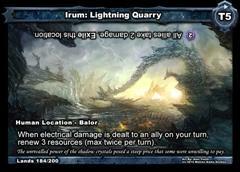 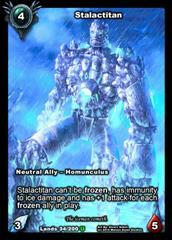 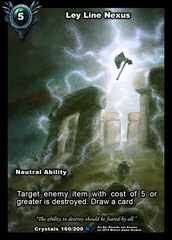 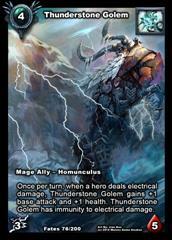 Thunderstone Golem has immunity to electrical damage. 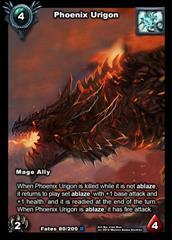 When Phoenix Urigon is killed while it is not ablaze, it returns to play set ablaze, with +1 base attack and +1 health, and it is readied at the end of the turn. 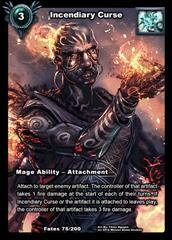 When Phoenix Urigon is ablaze, it has fire attack. 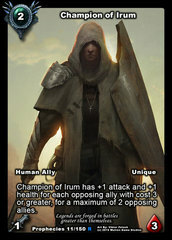 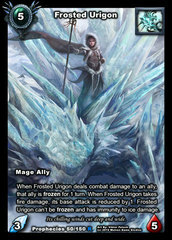 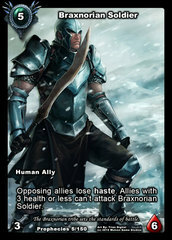 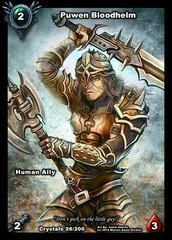 Allies damaged by Urigon in combat are frozen for 1 turn. 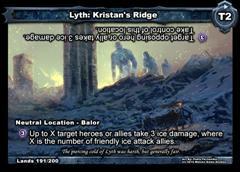 Urigon can't be frozen and ignores damage by Ice. 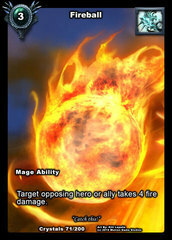 When Urigon takes fire damage, its base attack is reduced by 1. 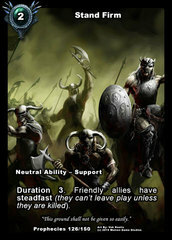 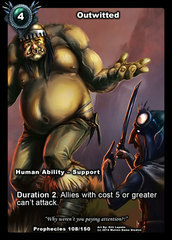 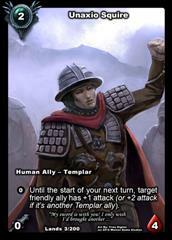 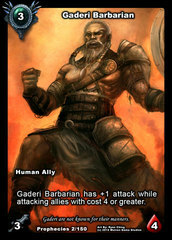 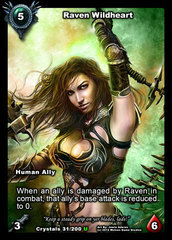 Target opposing ally is disabled (it can't attack, defend or use abilities) for 2 turns. 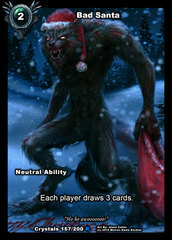 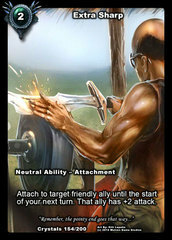 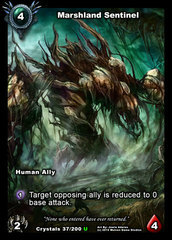 Each time target opposing ally attacks or activates an ability while Consuming Fear is attached, that ally loses 2 base attack and its health is reduced by 2. 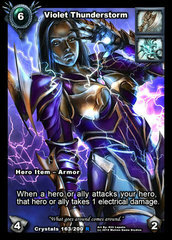 Up to 2 different target opposing heroes or allies take 1 electrical damage. 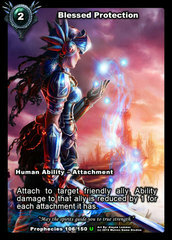 Attach to target friendly ally. 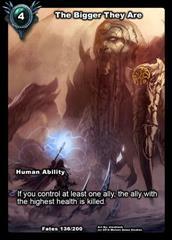 All damage to that ally is reduced by 1. 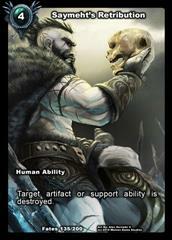 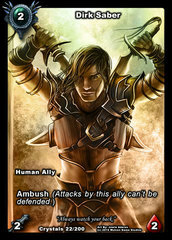 When an opposing player targets that ally with an ability, that ability has no effect and Stoneskin is destroyed. 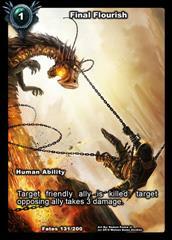 Target opposing hero or ally takes 4 fire damage. 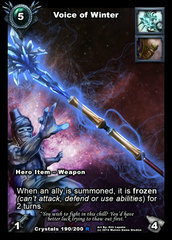 Target opposing ally is frozen (it can't attack, defend or use abilities) for 3 turns. 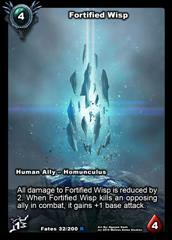 While Kelvin's Charm is attached to target weapon you control, allies dealt combat damage by that weapon are frozen for 2 turns. 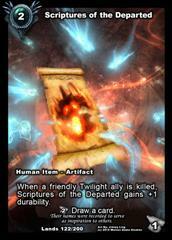 Attach to target enemy artifact. 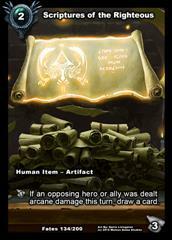 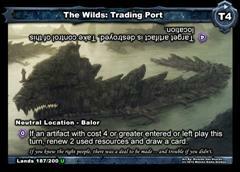 The controller of that artifact takes 1 fire damage at the start of each of their turns. 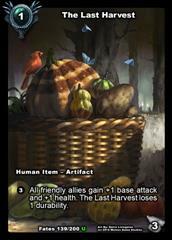 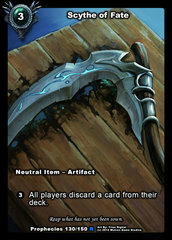 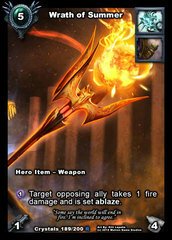 If Incendiary Curse or the artifact it is attached to leaves play, the controller of that artifact takes 3 fire damage. 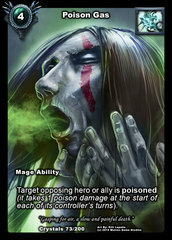 Target opposing hero or ally is poisoned (it takes 1 poison damage at the start of each of its controller's turns). 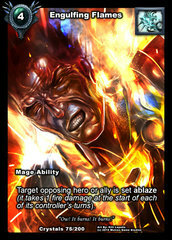 Target opposing hero or ally is set ablaze (it takes 1 fire damage at the start of each of its controller's turns). 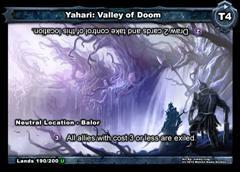 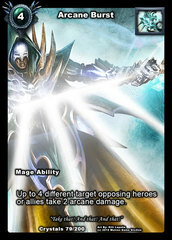 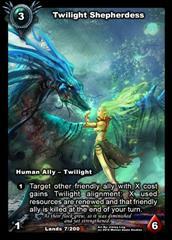 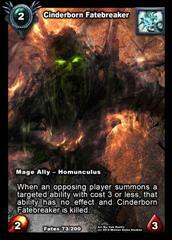 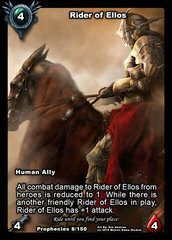 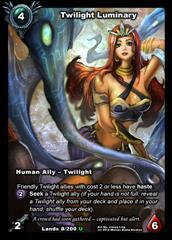 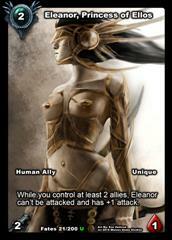 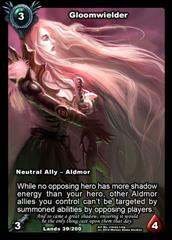 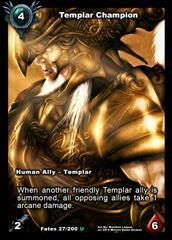 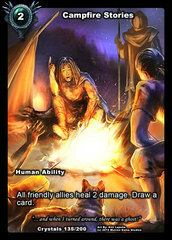 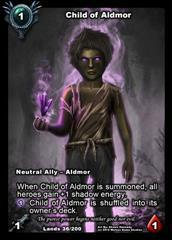 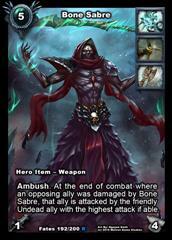 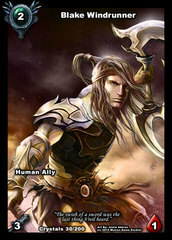 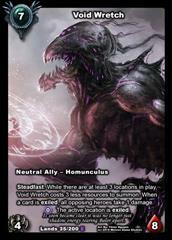 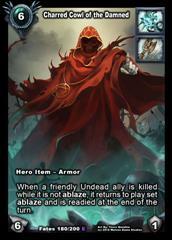 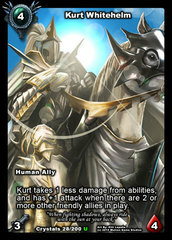 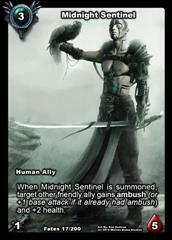 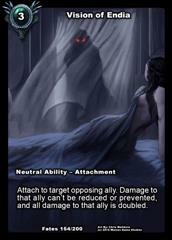 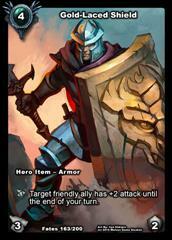 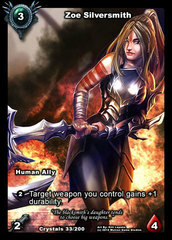 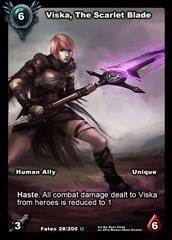 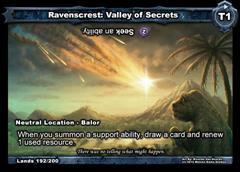 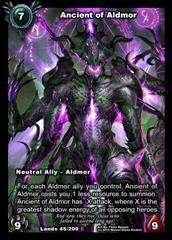 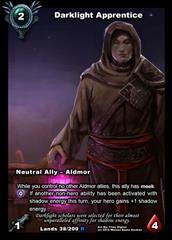 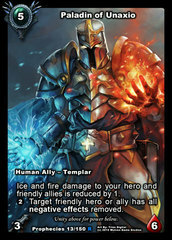 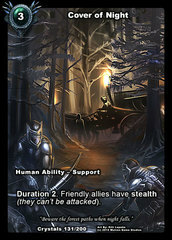 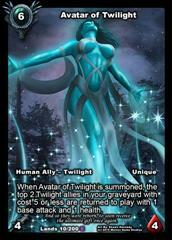 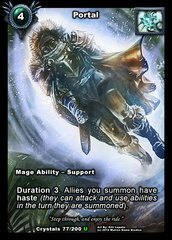 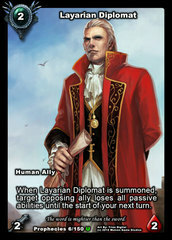 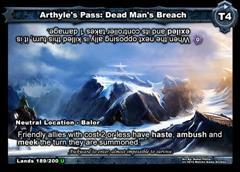 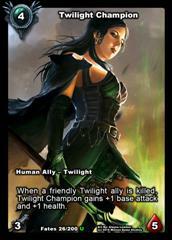 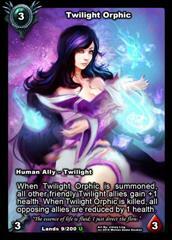 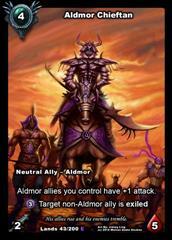 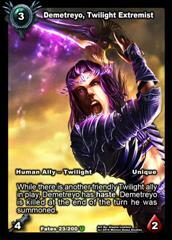 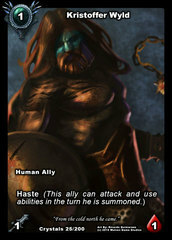 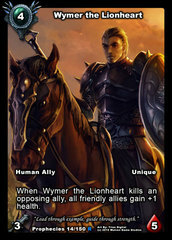 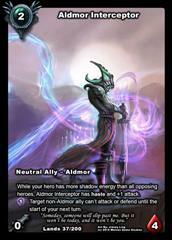 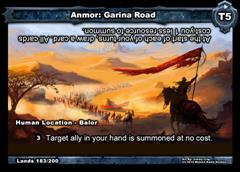 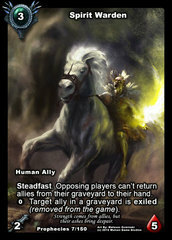 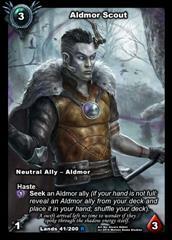 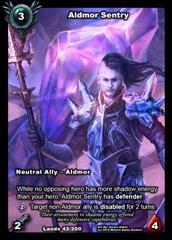 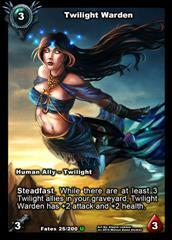 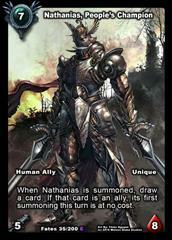 Allies you summon for the next 3 turns have haste (they can attack and use abilities in the turn they are summoned). 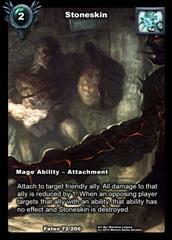 Up to 4 different target opposing heroes or allies take 2 arcane damage. 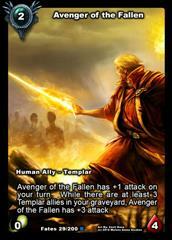 Target opposing ally takes 3 fire damage, and all opposing allies are set ablaze. 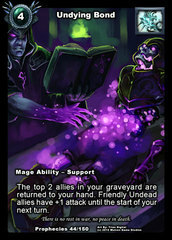 The top 2 allies in your graveyard are placed in your hand, and your undead allies have +1 attack until the start of your next turn. 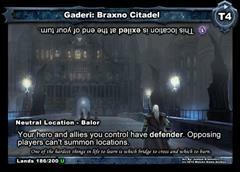 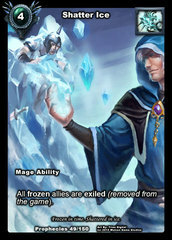 All frozen allies are removed from the game. 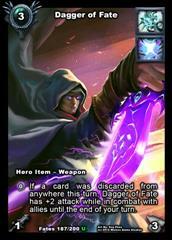 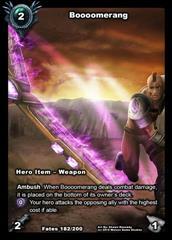 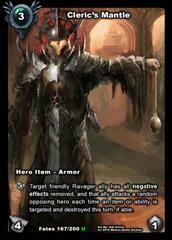 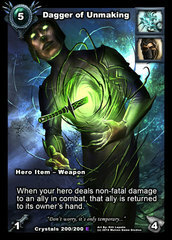 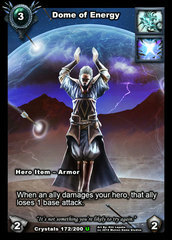 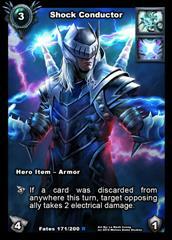 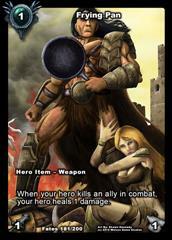 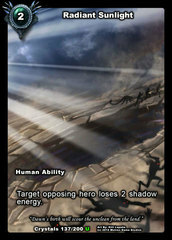 Your hero loses 1 shadow energy: target opposing ally loses all abilities and becomes an artifact without durability. 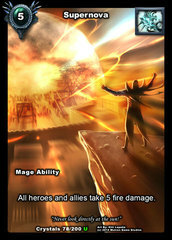 All heroes and allies take 5 fire damage. 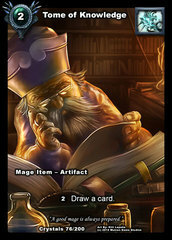 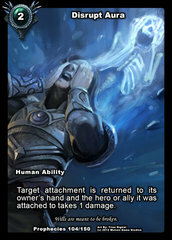 You can view the top card of every opponent's deck while Scrying Eye is in play. 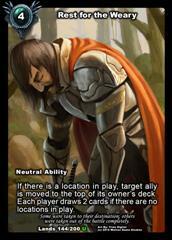 Target opponent shuffles his deck. 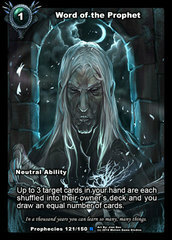 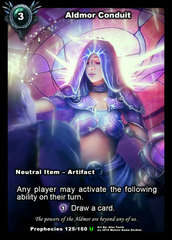 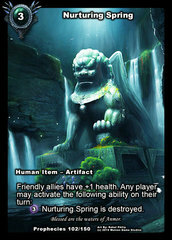 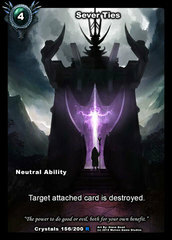 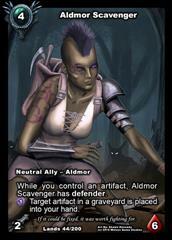 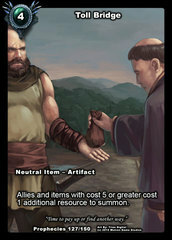 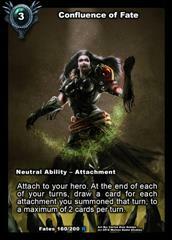 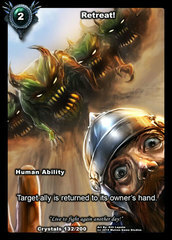 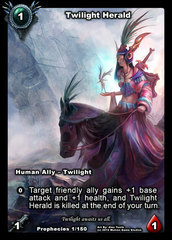 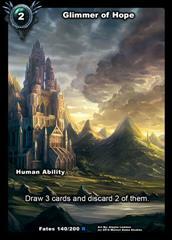 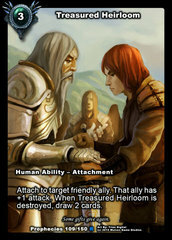 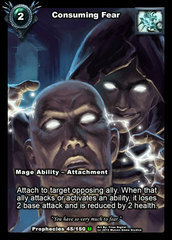 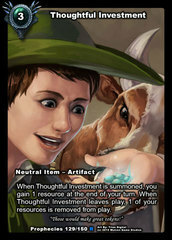 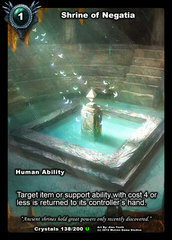 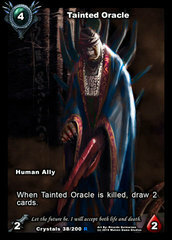 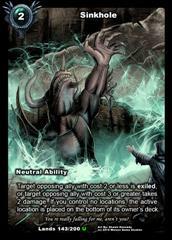 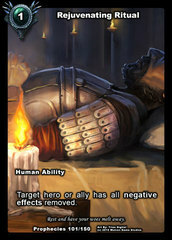 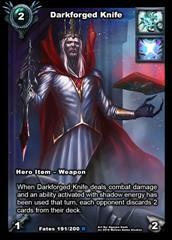 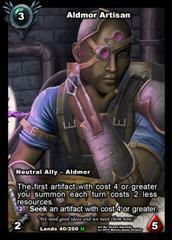 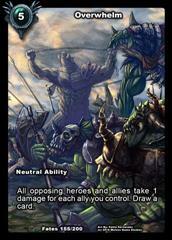 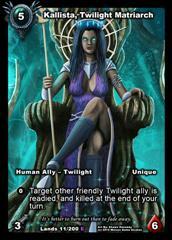 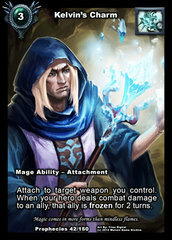 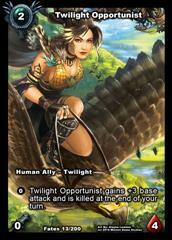 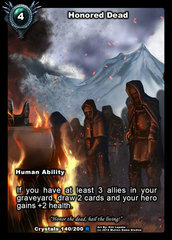 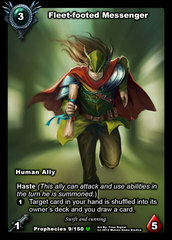 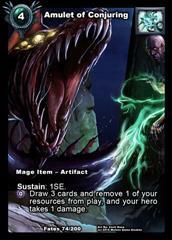 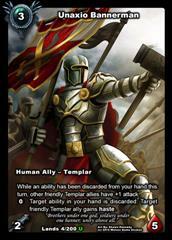 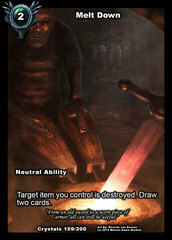 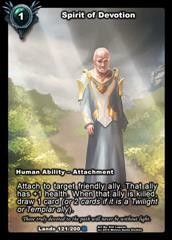 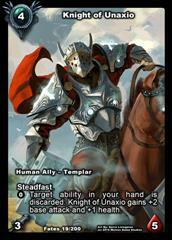 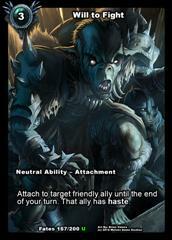 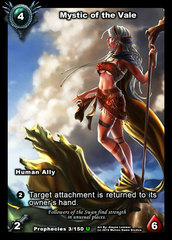 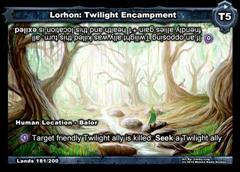 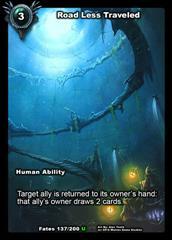 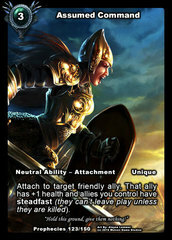 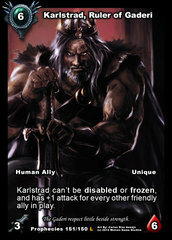 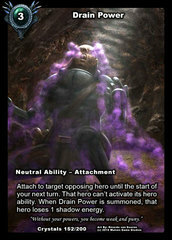 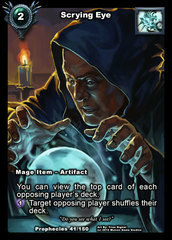 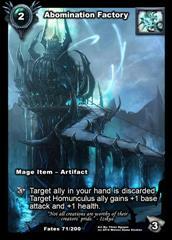 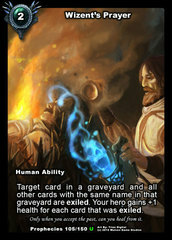 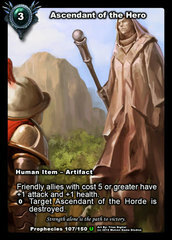 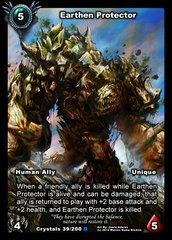 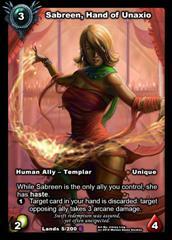 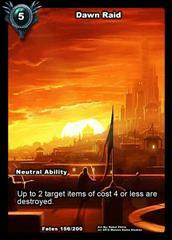 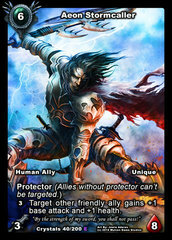 1D: Target ally in your hand is discarded. 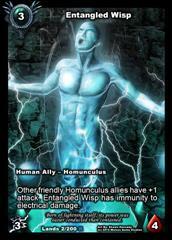 Target Homunculus ally gains +1 base attack and +1 health. 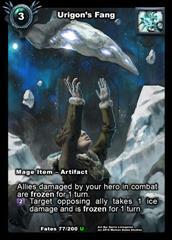 Allies damaged by your hero in combat are frozen for 1 turn. 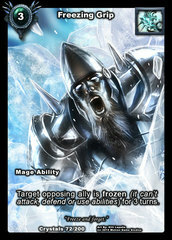 Target opposing ally takes 1 ice damage and is frozen for 1 turn. 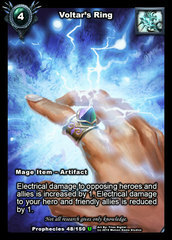 Electrical damage to opposing heroes and allies is increased by 1. 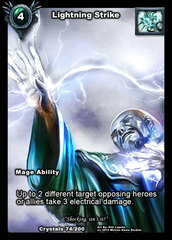 Electrical damage to your hero and friendly allies is reduced by 1. 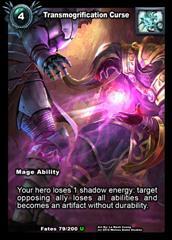 Sustain: 1SE. 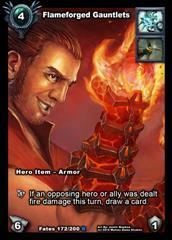 Draw 3 cards and remove 1 of your resources from play, and your hero takes 1 damage. 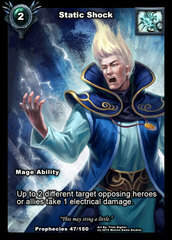 When an ally damages your hero while Dome of Energy is in play, that ally loses 1 base attack. 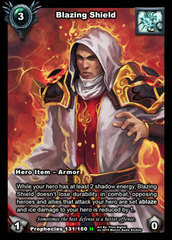 While your hero has 2 or more shadow energy, Blazing Shield does not suffer durability loss, ice damage to your hero is reduced by 1, and allies that attack your hero are set ablaze. 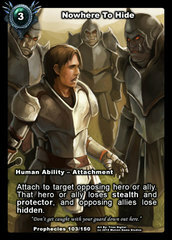 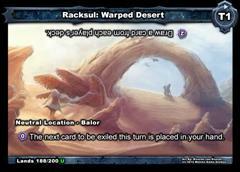 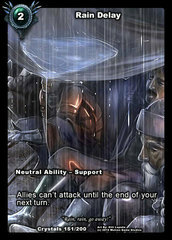 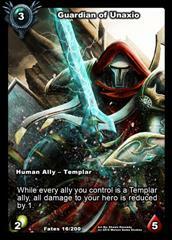 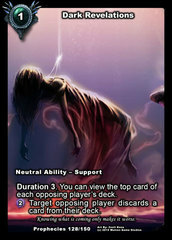 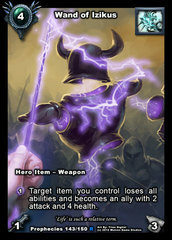 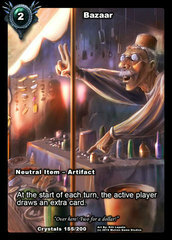 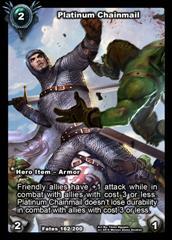 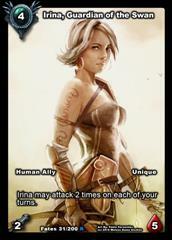 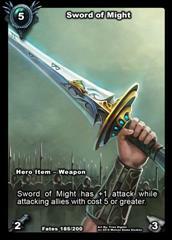 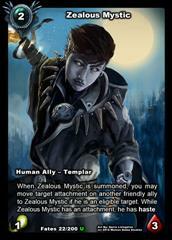 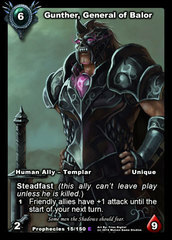 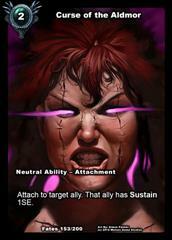 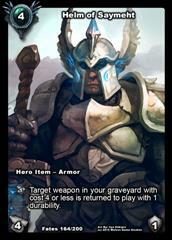 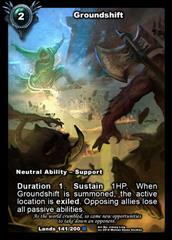 1D: If a card was discarded from anywhere this turn, target opposing ally takes 2 electrical damage. 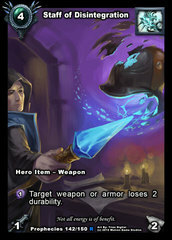 When your hero takes damage while Twice Enchanted Robe is in play, draw a card if your deck is not empty. 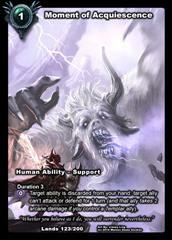 At the start of each of your turns, Crescendo gains +1 defense. 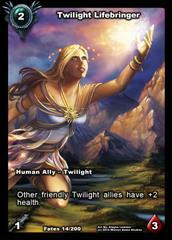 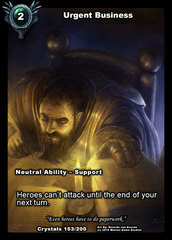 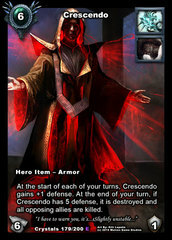 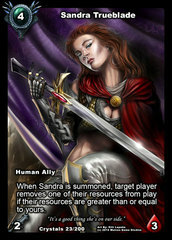 At the end of your turn, if Crescendo has 5 defense, it is destroyed and all opposing allies are killed. 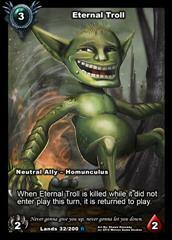 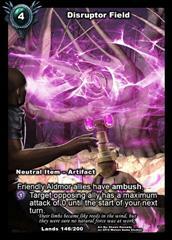 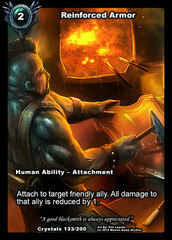 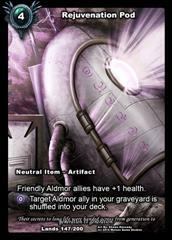 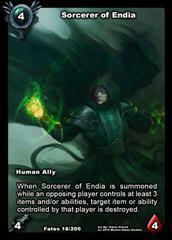 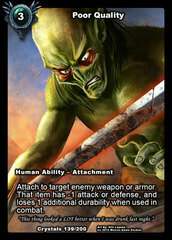 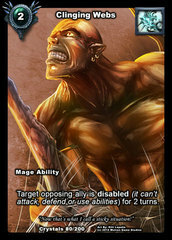 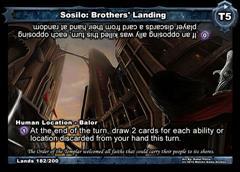 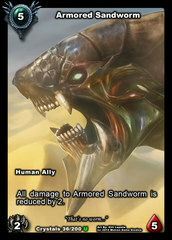 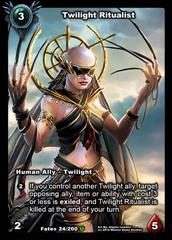 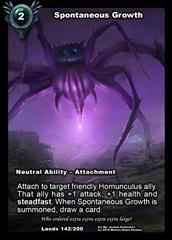 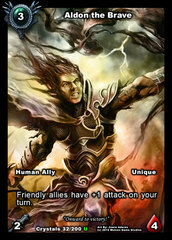 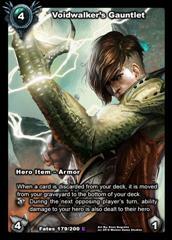 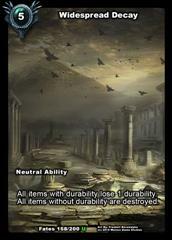 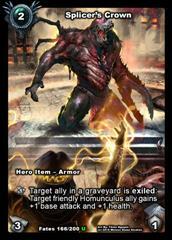 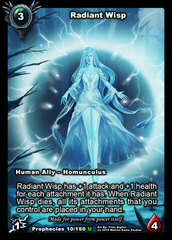 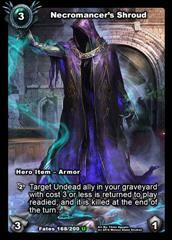 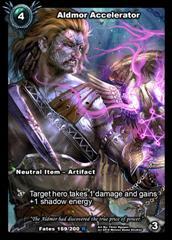 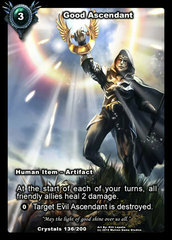 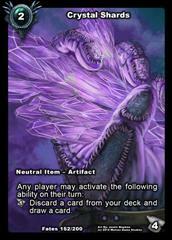 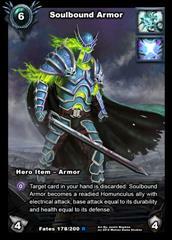 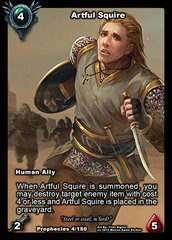 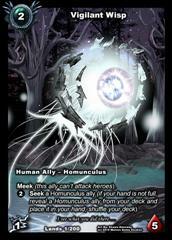 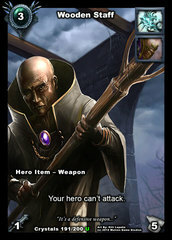 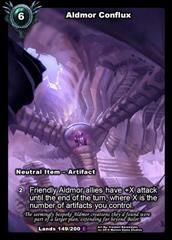 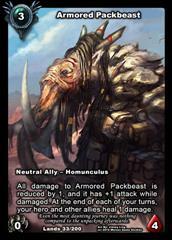 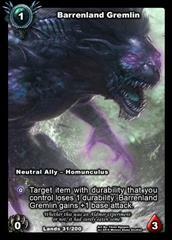 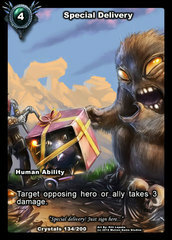 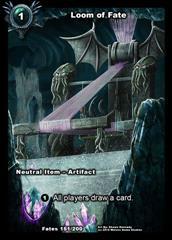 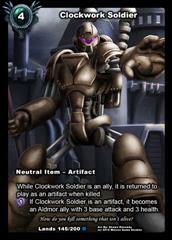 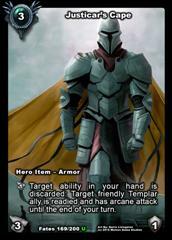 Target card in your hand is discarded: Soulbound Armor becomes a readied Homunculus ally with electrical attack, base attack equal to its durability and health equal to its defense. 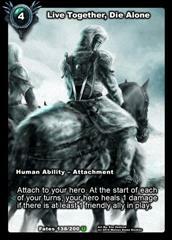 At the start of each of your turns, your hero takes 1 damage. 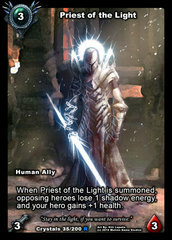 When an opponent uses shadow energy, you draw 2 cards. 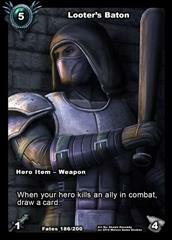 Your hero takes 2 damage and you draw 2 cards. 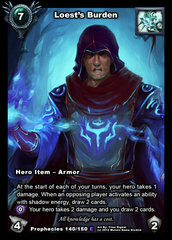 When Darkforged Knife deals combat damage and an ability activated with shadow energy has been used that turn, each opponent discards 2 cards from their deck. 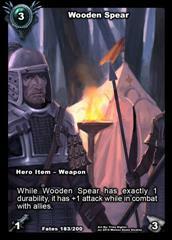 Your hero can't attack while Wooden Staff is in play. 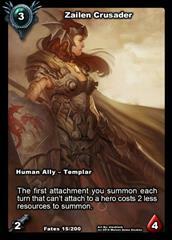 If a card was discarded from anywhere this turn, Dagger of Fate has +2 attack while in combat with allies until the end of your turn. 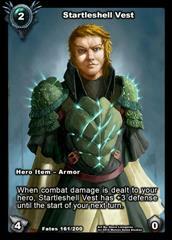 Target weapon or armor loses 2 durability. 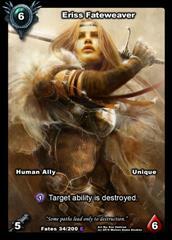 Target item you control loses all special text and becomes an ally with 2 attack and 4 health. 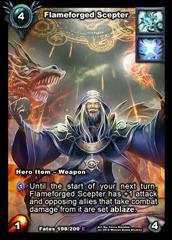 Until the start of your next turn, Flameforged Scepter has +1 attack and opposing allies that take combat damage from it are set ablaze. 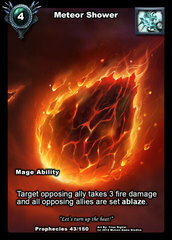 Target opposing ally takes 1 fire damage and is set ablaze. 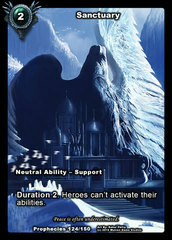 Allies summoned while Voice of Winter is in play are frozen (can't attack, defend or use abilities) for 2 turns. 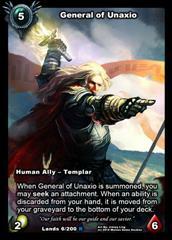 When your hero deals non-fatal damage to an ally in combat while Dagger of Unmaking is in play, that ally is returned to its owner's hand.